With a towing capacity of 5,000 pounds and an EPA-estimated MPG of 22/26 city/highway, the 2018 Volkswagen Atlas lineup provides ample performance for the price. When you choose the Atlas, you’ll have have access to exciting features like 4MOTION all-wheel drive, high-tech interior add-ons, and more! Learn more about the Atlas price points below before visiting Reeves VW near Clearwater for a test drive. 2018 Volkswagen Atlas S – $30,750: Runs a turbocharged 2.0L engine rated at 235 hp. 2018 Volkswagen Atlas V6 S – $32,150: Upgrades to a 3.6L V6 that makes 276 hp. 2018 Volkswagen Atlas V6 S with 4MOTION – $33,950: Comes Volkswagen’s exclusive 4MOTION all-wheel drive system. 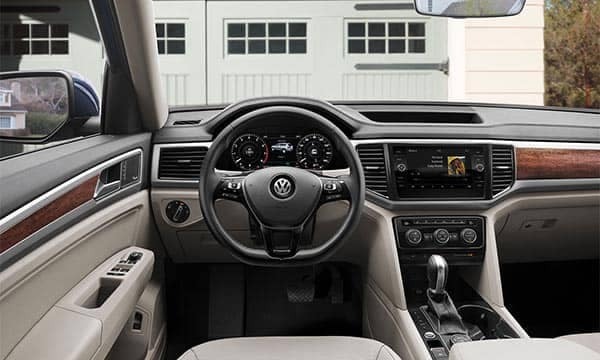 2018 Volkswagen Atlas V6 SE – $35,240: Adds interior features like the Composition Media touchscreen sound system. 2018 Volkswagen Atlas V6 SE with 4MOTION – $37,040: Installs 4MOTION all-wheel drive and offers second-row captain’s chairs. 2018 Volkswagen Atlas V6 SE with Technology – $37,340: Incorporates high-tech features like Climatronic three-zone climate control and a remote power liftgate with closing assist. 2018 Volkswagen Atlas V6 SE with Technology and 4MOTION – $39,140: Combines all the SE features with 4MOTION all-wheel drive and the Technology package features. 2018 Volkswagen Atlas V6 SEL – $41,140: Promises a panoramic sunroof, 10-way power front seats, and adaptive cruise control. 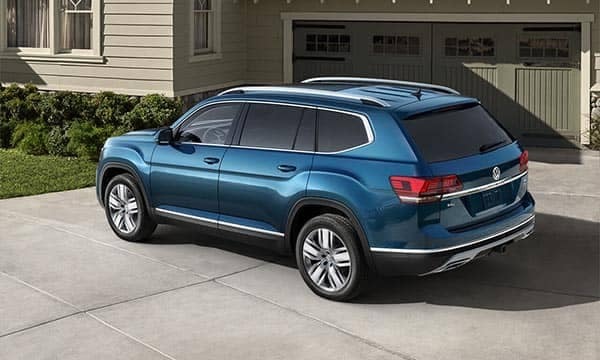 2018 Volkswagen Atlas V6 SEL with 4MOTION – $42,940: Boasts the features of the V6 SEL trim and 4MOTION all-wheel drive. 2018 Volkswagen Atlas V6 SEL Premium with 4MOTION – $48,740: Adds high-end options including the Volkswagen Digital Cockpit and Discover Media touchscreen navigation. 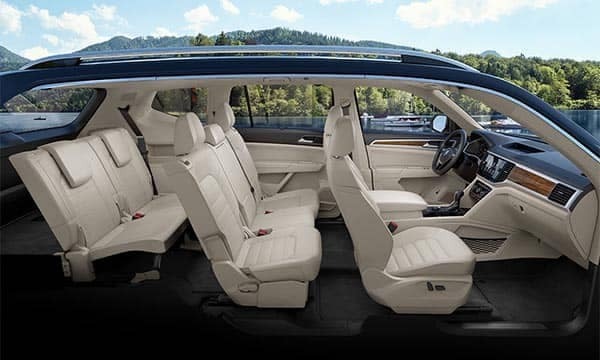 Learn more about the benefits of driving an SUV and find out which Volkswagen SUV you are before making your way to the Brandon area to select your match at Reeves Volkswagen!